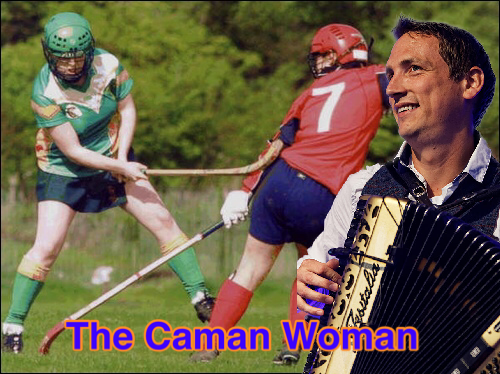 Gary Innes, the Usain Bolt of the shinty world is back with an imminent new album called “Imminent” and in this ever changing PC world, he’s decided to even up the score of his Worldwide Hit “The Caman Man” by celebrating the fast growing women’s shinty scene with the sequel song. “The Caman Woman”. And once it’s all over, after playing eight a-side. An offer of hand, though you just tried to hit her. A nod of respect for your wood swinging sister. Gary is looking to be even more tolerant with future releases; “I’m looking to fill out the Trilogy on the next album with “The Caman Trans”.” Gary said.